Suppliers such as Signify are working with growers like Iwasaki Brothers to create grower-based solutions to help them transition to using LED systems. Photo courtesy of Signify. 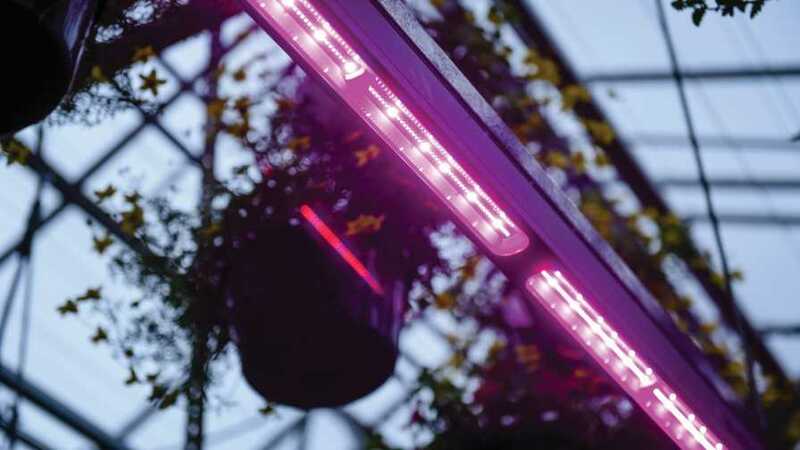 Almost all of the most recent research into greenhouse lighting has focused on light-emitting diode (LED) technology. There’s a good reason for this, as the long-term energy savings that can come from the use of LEDs — and the rebates and local grant programs that growers can take advantage of — make it an appealing option. So why are only around 2% of greenhouse ornamental growers (according to Erico Mattos, Executive Director of the GLASE consortium) using LED systems? If you talk to industry suppliers, there is a host of reasons. In some cases, Schaberg says, growers have dialed in their operations to work successfully with HPS lighting systems, so using all new LEDs is off-putting. “As technology changes and LED prices drop, some growers feel they can wait until these systems become more affordable up front to jump in,” Schaberg says. • Low priority. There’s been a huge shift in the acceptance of LEDs just in a matter of two or three years, according to lighting experts at Signify. However, as everyone knows, managing labor costs and availability is the biggest challenge facing growers today, which means investments in equipment like transplanting systems or picking machines are often given higher priority over investments in lighting upgrades. • The challenge of change. For growers who truly understand the value of light and recognize the need for light, sometimes it’s the simple challenge that comes with change. Wading through all the information that is available about LEDs can be overwhelming and daunting, according to Signify. • Production changes. When transitioning from HPS to LED, some growers have noticed significant differences in the nutrient and water intake of their plants, Jansen van Rensburg says. • Varietal differences. LED spectral recipes are often confined to wavelengths within the PAR region of the spectrum, which can work really well for a specific varietal of a given plant species, but deliver poor results when used to cultivate another varietal of the same species, Jansen van Rensburg says. Even with these challenges, the industry is continuing to advance intelligent lighting controls to automate schedules and production as greenhouse technologies and building system integrations become more connected. “Growers are starting to recognize adjustable spectrum LEDs as a viable and proven solution to traditional HPS lighting as a means to accelerate harvest cycles and balance energy efficiency with efficacy and crop performance,” says Ali Ahmadian, CEO of Heliospectra. PL Light Systems’ Jansen van Rensburg also notes that those growers who are interested in LEDs will install them in a small trial area of their facility, even if they stick with more trusted or proven HPS lights for the majority of the greenhouse. In terms of cost, LED fixtures today are much less expensive and more powerful than even two years ago. And the benefits are being recognized. At Signify, the current focus is on grower-based solutions for those making the transition. Within the ornamentals market segment, Signify is working with several leading growers on custom light solutions, including American Takii, Iwasaki Brothers, Skagit Horticulture, Peoria Gardens, Van Belle Nursery, and DeGoede Brothers. 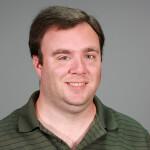 Travis Higginbotham, Director of Cultivation Support at Fluence Bioengineering, perhaps sums it up best when he says the industry is just starting to understand the benefits of LED technology and what environmental variables are introduced when switching to LEDs.